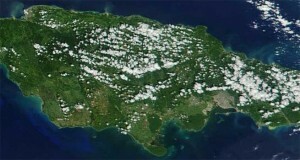 Home » Blogs » Who is a Jamaican? Thursday gone was not the brightest of Thursday’s. Calls to the company were followed by the programmed “we are trying our best” to solve the problem. As I sat listening to everyone’s favorite DJ, Barry G, on Mello FM, I was entertained by his conversation with one caller , who like myself, is a returning resident visiting the country, lamenting the same realities every Jamaican face each day. Blocked by rubbish, garbage and clutter. Barry G sounded surprised but in reality I personally thought that was his radio performance. You usually see them In performance after a heavy down pour. A mixture of Rain , Mud and Car tires produced a veritable Mud Bath!. This has been like this for over 10 years ! It is important to note that this municipality of Lucea had some interesting history with the last Mayor. Under the previous government the Mayor was allegedly doing more for their pocket than for the parish. For my readers not familiar with that acronym , the NWA is the National Works Agency, another listless government agency that defines the word impotent. Eventually an official from the NWA came on the program and his version of “trying their best” was typical of a governmental agency prone to doing nothing. *The citizens do not dispose their garbage properly. *The technical issues are bigger than they think . BEFORE THE HURRICANE SEASON ! That’s it , ladies and gents. The four hour rant by Barry G accomplished only one thing. And I guess his wife , who is only 5 minutes aŵay, will continue to get home late when it rains. There is this disconnect with what type of a nation we can be against the type of nation we seem to be. That nation building vision was missing from August 6, 1962. We start , then stop. We excel , then we falter.